Time is drawing to a close, my friends. After this week of Smashing Saturdays, there will only be two more installments, ending in a special feature I’ve been teasing for a while. But just like Sakurai, I promise to save the best for last! The Smash virtuoso himself has been upping his game of late, with lots of interesting details shared, some strange, some awesome, and only a small few were lame. 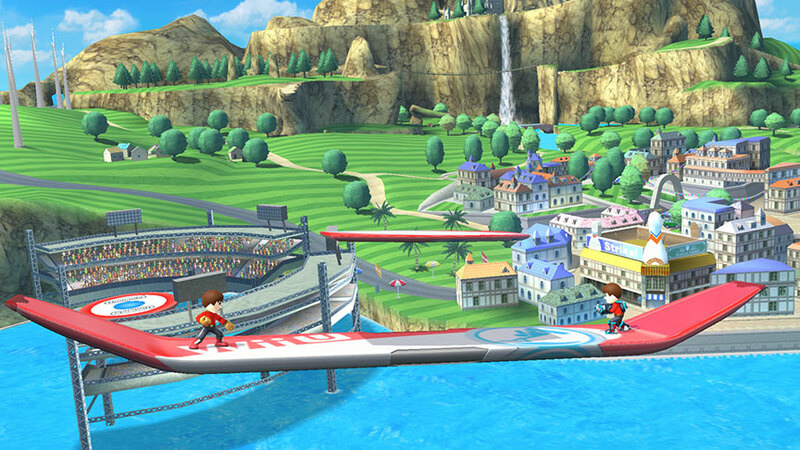 I was most excited this week by a pair of new stage reveals for the Wii U version! Plus, for those of you who haven’t picked up the game yet, he unveiled another secret character in the surprise Nintendo Direct this week. So, enough chatter. Let’s get Smashing! 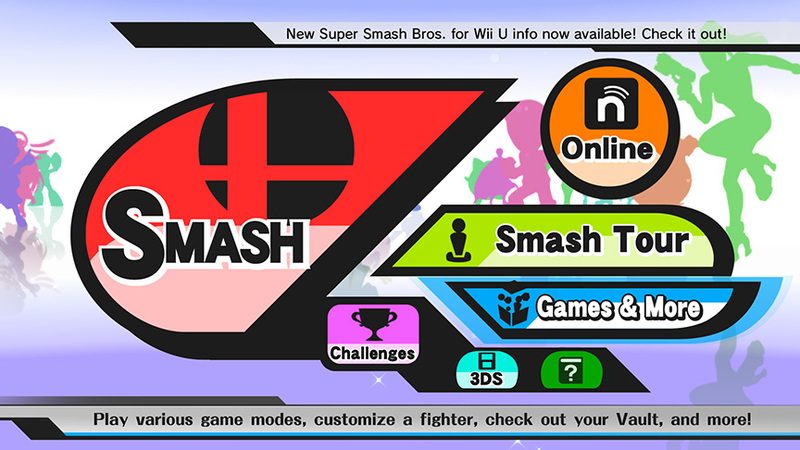 Monday showed off the main menu in the Wii U version. This is a case of needing to see it in action to understand it. 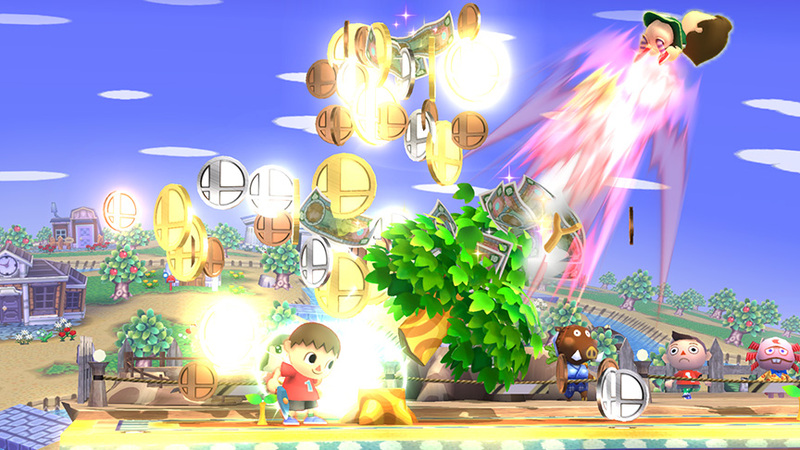 According to Sakurai, silhouettes of the brawlers fly by and are “sparkly”. Should be cool to watch. Moving on to cooler updates. Tuesday detailed how Classic Mode’s Fiend Scale looks and works. 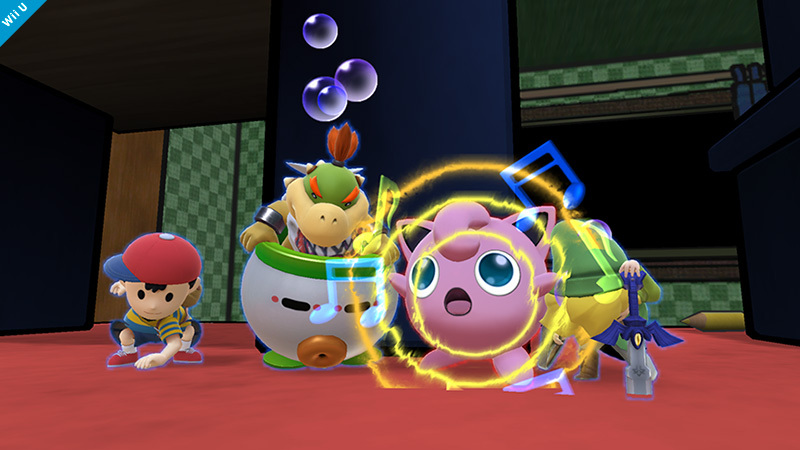 “When you raise the intensity in the 3DS version, the effects looked similar to a picture book. 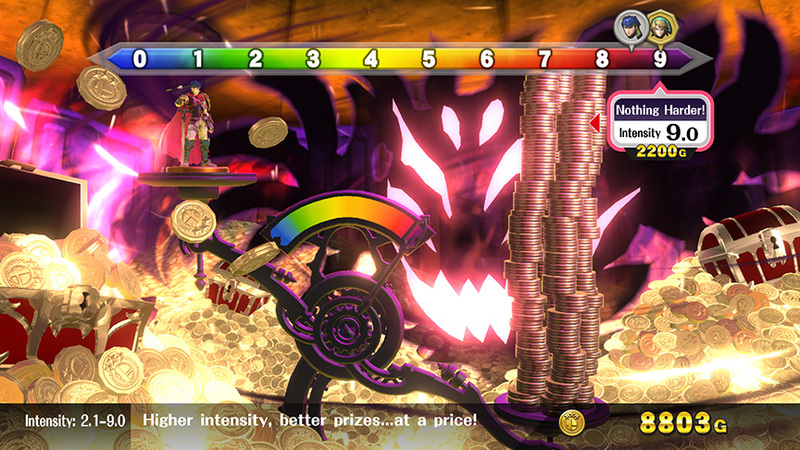 However, for the Wii U version, as you raise your intensity it looks like you’re falling deeper into the underworld. The very bottom looks ferocious.” But that wasn’t all Sakurai had to say for Tuesday. 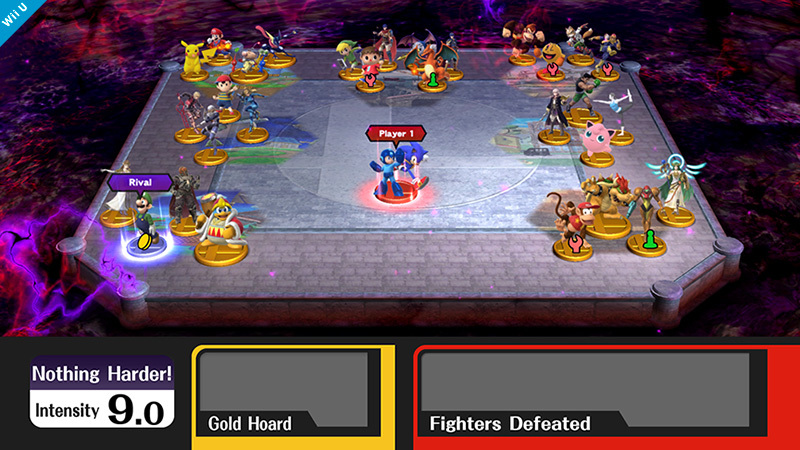 “The field in Classic mode has five different backgrounds determined by the intensity level. On low intensity, the background looks peaceful, but on high intensity, the atmosphere gets pretty intimidating.” Sounds pretty cool to me. Classic looks quite compelling to me, regardless of the console version. I can tell I’ll be spending a lot of time playing Smash Bros. on my Wii U.
Wednesday detailed a couple of different type of Event battles. First up is Jackpot Opportunity. “Jackpot Opportunity is one of the Events in single-player mode where you aim to collect 1,000 Gold to pay off your loan. This scenario uses Coin Battle rules.” Next up is a very different type of Event. “It’s Past Your Bedtime sets up another predetermined situation for a single-player Event. 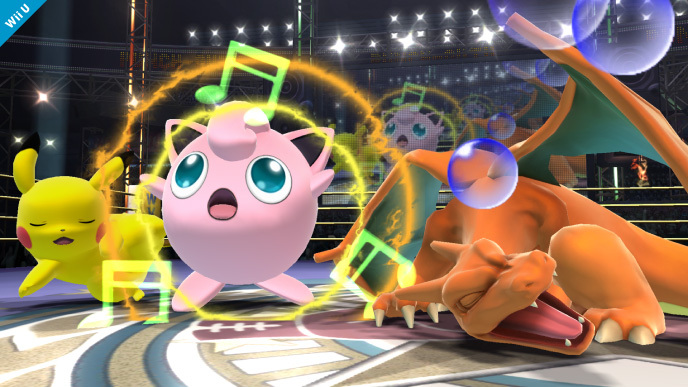 In this one, Jigglypuff needs to put every fighter to sleep at the same time. There are quite a few scenarios like this that aren’t simply brawls.” This sort of creativity is part of why I love the Smash Bros. series so very much. Not all about beating the crap out of your foes, but experiencing the gamut of gameplay styles expressed by the various brawlers. Thursday was a shocker. I thought Sakurai was only using levels from games that are already out, but Thursday showed that assumption was incorrect. 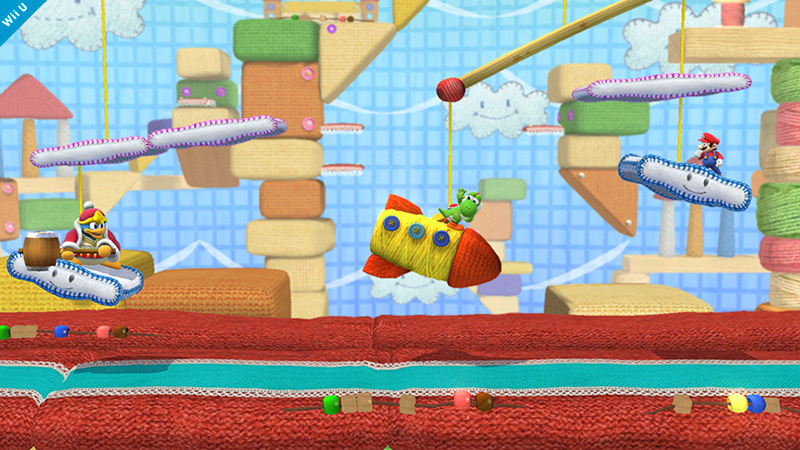 Woolly World will reference the upcoming Wii U title Yoshi’s Woolly World, rendered in delicious yarn style graphics. According to Sakurai, it was added very late in development. Better yet, the surfaces are soft and cushiony. He also had this screen to share. Ride that rocket! Yoshi Yoshi! For this pic, Sakurai had this to say – “The mobiles are placed in different locations depending on the situation, and they tilt according to weight distribution. The stage also gets rearranged, so the ground may disappear temporarily during a remodel.” I already absolutely adore this level, and I haven’t even played it yet. 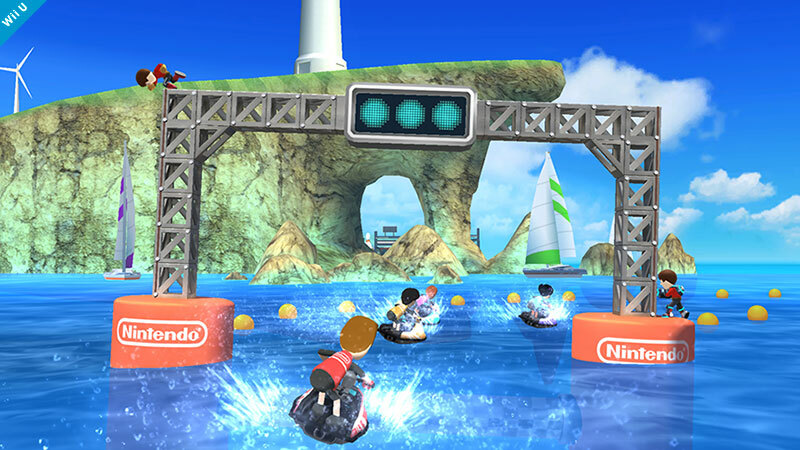 “I’ve been so busy with developing this game that I dreamed about tropical islands every time I saw this stage. …Beaches in the summer are great, aren’t they? ” Looks like another great level. 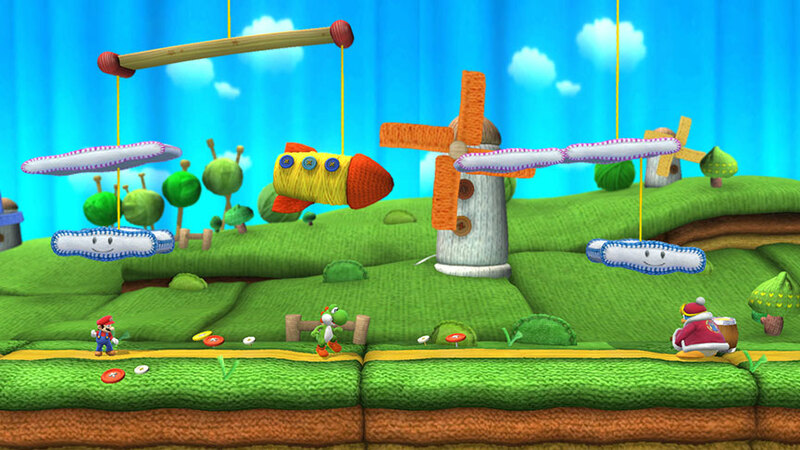 As much as I love the stages in the 3DS version, the Wii U levels easily have most of them beat. And, as revealed earlier this week during the Direct, here is the latest secret character shown during the Direct. By far the weirdest new character in the Smash roster. 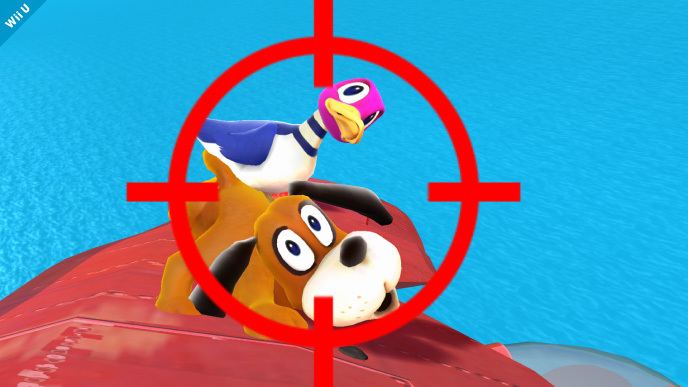 Behold the terror of Duck Hunt Dog! 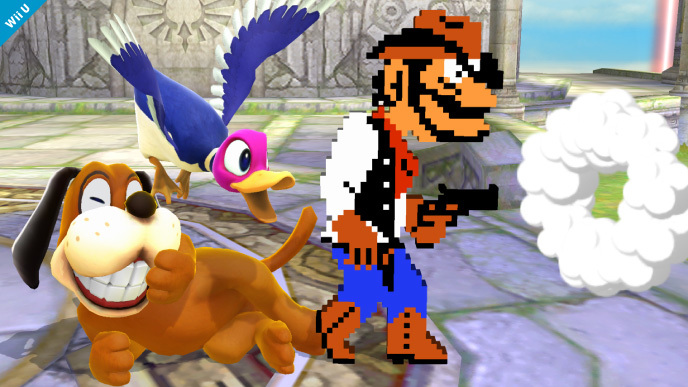 Oh, and in case it wasn’t apparent from earlier, another fluffy brawler has returned to Smash Bros. Yay? The rotund poke-diva is back!